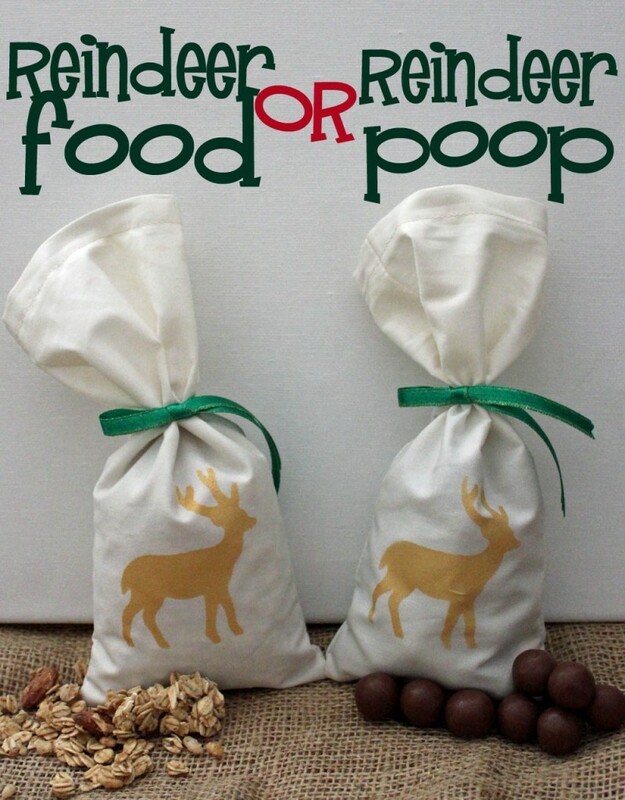 Bags for Reindeer Food… or Reindeer Poop! Santa and his reindeer are a fun topic at Christmas time. If you’re leaving out cookies for Santa, consider leaving out some reindeer food for your favorite four-legged sleigh-pullers. The reindeer need a little extra energy to pull the big man (and all those presents) on Christmas eve! And if you want to add some fun, replace the reindeer food in the bag with a little “present” from the reindeer… reindeer poop! 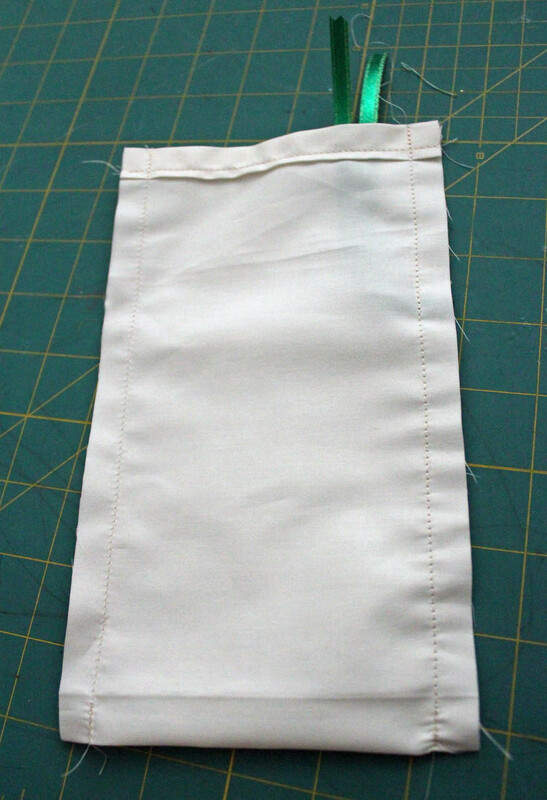 Start by folding over one of the 5″ sides of fabric about 1/2″. Fold over again, and then sew across. Repeat with the other side. 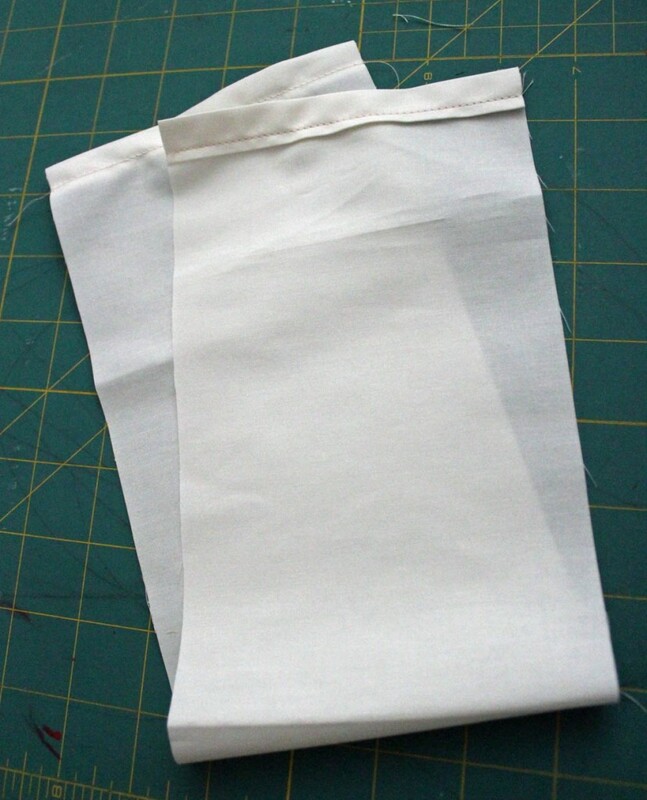 Fold in half, with the “right” side of the fabric in. 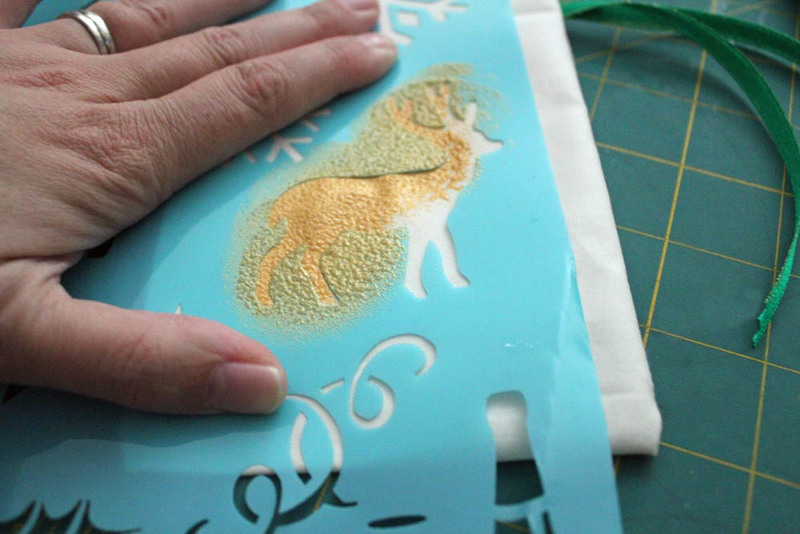 Fold the ribbon in half, and pin the fold about 3″ down from the edge you just stitched. 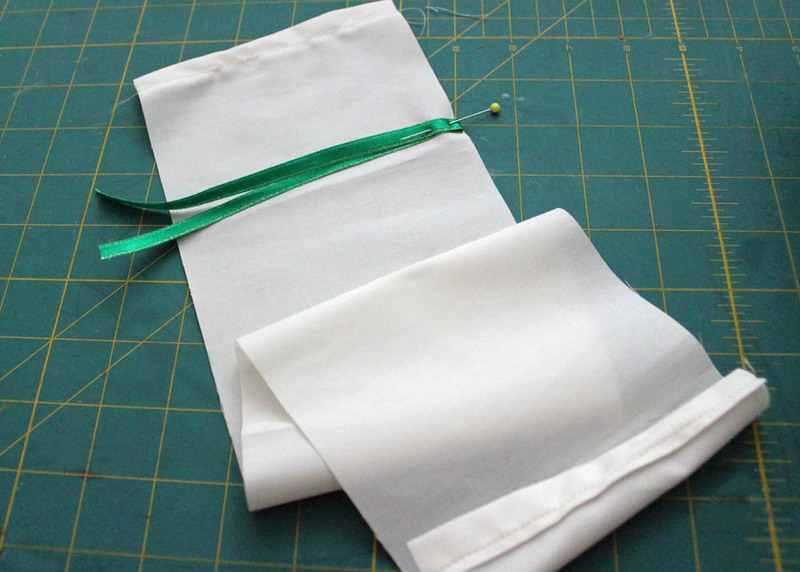 Fold the fabric in half, with both the stitched edges touching. Sew down both sides, making sure to stitch over the ribbon where it is pinned, and moving it out of the way on the other side. 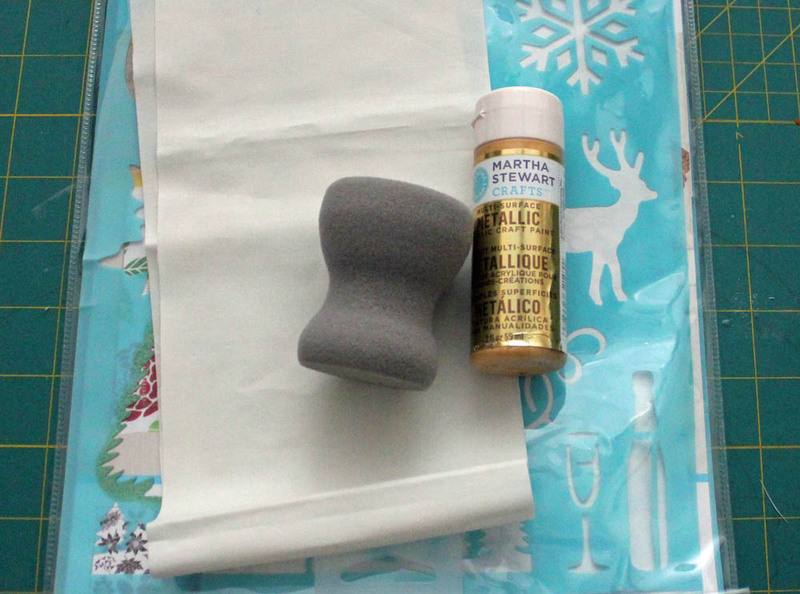 Flip the bag right-side-out, and tuck a folded piece of paper between the layers. Stencil the paint onto the fabric with the pouncer and reindeer stencil. Wait for the paint to dry, fill your bag with reindeer food (or reindeer poop), and then tie the strings. 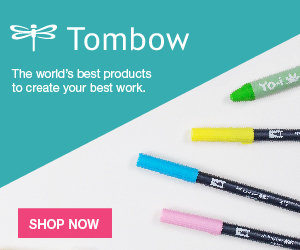 Fast, simple, and super cute! 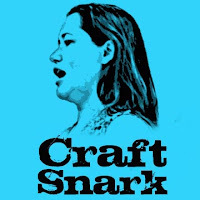 This is another 15 minute project as part of Craft Lightning – Holiday Edition. 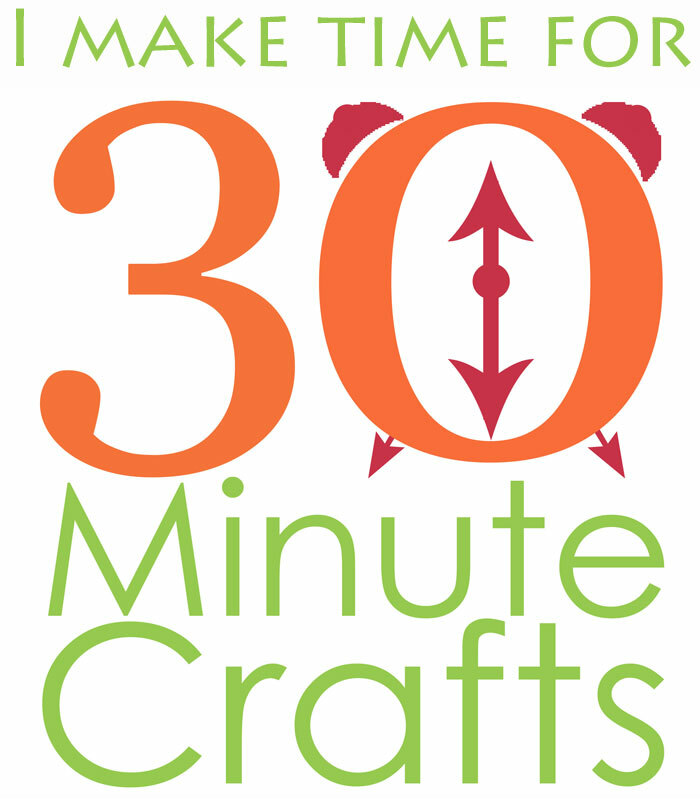 Each day, Angie from The Country Chic Cottage and I are teaming up with some bloggy friends to share holiday crafts that are fast and easy. 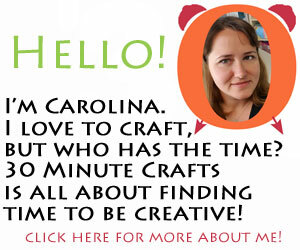 You CAN fit crafts into your holiday schedule – no matter how hectic! 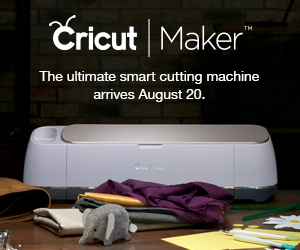 Come back this afternoon for more ideas… and if you missed any, be sure to check out the other fun crafts!